Join us for two days of woodland fun, a fantastic opportunity for families to participate in a whole range of nature-inspired activities, activities that will encourage you and your children to fall in love with creative outdoor learning and play. The Festival of the Wild Child is a two-day event at High Lonesome Nature Reserve in the Pakenham Hills on August 24th and 25th. 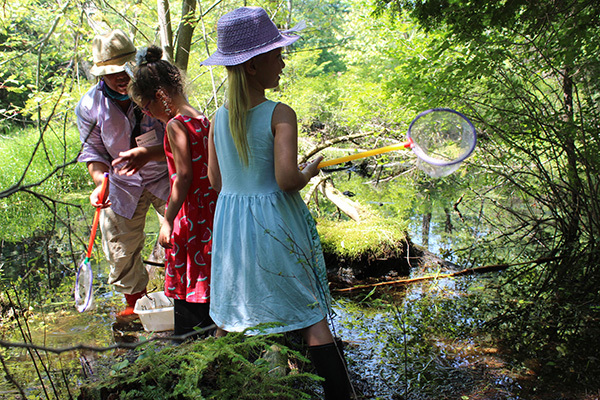 Open to the public from 10 a.m. to 4 p.m., this festival is organized by the Mississippi Madawaska Land Trust and will provide a variety of spots along wooded trails and by ponds to learn, explore and engage with the natural world. Knowledgeable volunteers will be at each station to help open windows onto the many wonders of nature. A description of the various stations will be outlined as details become available. High Lonesome is located at 867 Carbine Rd. in Pakenham. Take County Road 29 to Pakenham Village, turn on Waba Road and continue west for 2.9 km. Turn left on Barr Side Road. After for 1.6 km., take the first left at Carbine Road and drive 3 km to 867 Carbine Road.